It is 1941. 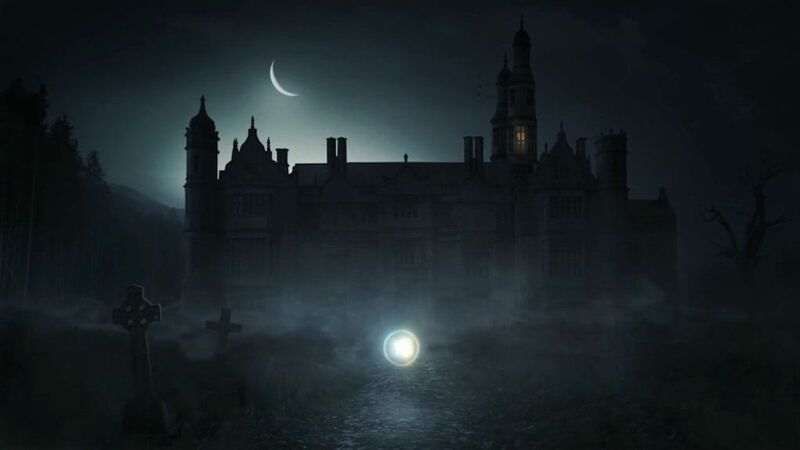 You play as a disembodied entity called Abigail Blackwood, who must search for clues and work out puzzles around the now dormant Blackwood manor. There are many questions asked during the beginning of the game, so it is up to you to find out what happened to not just herself, but to the other members of her family too. The story is where Goetia shines brightest and I was genuinely intrigued to find out what had happened, which of course kept me interested throughout the course of the game and helped keep me going through the weaker parts. Goetia goes for a predominantly horror theme throughout and the general plot is something which you would find in a horror title, but all of the other tropes you would usually find in such a genre aren’t there. This isn’t a criticism in the slightest, I just wouldn’t want you going into the game thinking it is a straight-up horror title, because it isn’t. The gameplay found in Goetia is very much akin to most other point-and-click titles. You have to scan the environments, searching for clues or objects which you can then use somewhere else in the game world in order to keep progressing. You have your usual inspecting of items that, in the grand scheme of things, have no real bearing in terms of progression, but help give the world around you a bit more character, whether it be a bit of backstory or simply just a small detail. What is unique about Goetia however, is because you play as a floating, disembodied version of Abigail, you are able to move freely around the environments without any objects in the world blocking you. You don’t need to worry about doors or stairs as you can simply just float through walls and ceilings. There are ways to stop you from going absolutely everywhere straight away, which is certainly a good thing as you wouldn’t want it to get even more confusing as it is already. You see, that is ultimately where point-and-click titles either thrive or falter. There needs to be a balance between making sure that what you need to do to progress is not only challenging but also not too obtuse, confusing or boring. Unfortunately, at times Goetia can fall into the latter. You will often do a lot of backtracking when you get stuck and you’ll be going over the same things over and over again just to see if something works because you simply do not know what you need to do in the slightest. Don’t get me wrong, I love challenging games, but, especially for a point-and-click title, pushing that barrier too far can make the game become tiresome and this is one such example, which is a shame. That isn’t to say I didn’t enjoy my time working out any of the puzzles throughout my playtime, quite the opposite. When it was clear what the objective was and what the item I had in my possession could be used for, I thoroughly enjoyed it. There were just a few too many times where Goetia fell away from these moments. When you do work out a puzzle first time, there’s a general feeling of satisfaction because you will eventually come to realise that you could easily have been stuck on that part for a good period of time. You are able to play the game with both traditional and touch controls. I felt that the game played best with touch controls but it was still just as easy to play with the Joy-Con. Using the touch screen makes things a bit faster as you’re able to simply tap where you want to go rather than having to move all the way across the screen with the analogue stick. Having said that, I was switching between both control methods as when you play with the Joy-Con, pressing the minus button brings up a clue locator which shows you what you are able to interact with, in the environment you’re currently in. This wasn’t an option when using the touch screen, so when you are cruising along, go with touch screen controls but when you grind to a halt as I’ve mentioned above, then it’s a good idea to switch control methods so you can use the clue locator to help you out a bit. As I alluded to earlier on, this isn’t a horror title in the usual sense, but the graphics and atmosphere present is top notch and could easily be implemented into a full-on horror game. There are plenty of dark rooms (although never too dark) with only a handful of candles and lamps dotted around each room, which then creates realistic looking shadows on walls. It all just helps you feel very isolated in this big manor. The soundtrack also helps in upping the tone too. Eerie piano music in the background, unnerving sounds creeping in every now and then. It blends in pretty wonderfully and helps create an uncomfortable feeling throughout, even though you know that nothing bad is ever going to happen to you because it simply isn’t that kind of game. Goetia is a mixed bag. There are some wonderful moments in here such as the story, which certainly kept me going, and the visuals and soundtrack which do their best to keep you engrossed, are certainly impressive. It falls short, however, due to some of the overly difficult sections that can lead to many frustrating points in the game, which can then make it grow slightly tiresome. What this boils down to is simply that Goetia doesn’t find the perfect balance needed for a truly great point-and-click game. But there is certainly something there for true fans of the genre.